I had a morning to try more items from this popular corner cafe. 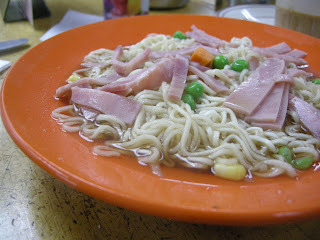 I ordered the instant noodles with ham, and served in a home made soup. One of the best I have had so far in Hong Kong.